I gather that “The Art of War” by Sun Tzu has, once again, become a popular read. If you have read it, this may come as no great surprise as it is fair to say that, despite some “iffy” translations prior to 1910, it has stood the test of time. But, since beheading people to establish one’s authority is frowned-upon in these politically correct times(!? ), I would recommend seeking out a latter-day “master strategist” by the name of John Boyd. You may have heard talk of AGILE BUSINESS [the embedded link is for anyone in insurance] and wondered “what the hell does that mean” or dismissed it as yet another creation of fee-hungry management or IT consultants! But hold your horses…stick around and you might learn something that could serve you and your business VERY well indeed. As supply chain risks rise up the agenda for businesses, there is clearly an opportunity for insurers to step in with up-to-the-minute solutions that respond to new challenges. Dequae believes while the risks have changed, “the insurance solutions have not really adapted to the changes in the supply chains”. She points, in particular, to the need for innovation when it comes to “more coverage and capacity”, as well as broader conditions and “coverage at acceptable prices”. 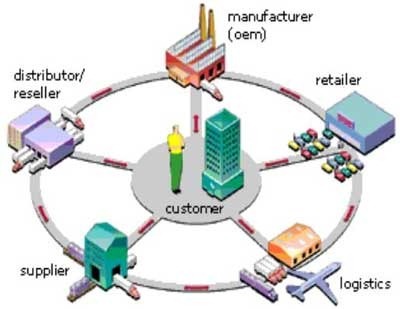 via The supply chain disappointment – Insurance Insight. If TRANSPARENCY is viewed as a "threat" it presents itself as an OPPORTUNITY for competitors and new entrants. This message should really be ALL the incentive that the “managers” of tired old Institutions need to remind them that, before they determined that the function of their role was to secure individual wealth and power, it was to oversee fulfilment of the purpose(s) for which the organisation was first created. Discharging that responsibility would be such a departure for some that it could amount to a “disruptive strategy”! Extreme trust. This may be the strongest strategy of all, because it makes it likely your customers themselves will want you to succeed. Being proactively trustworthy (we call it “trustable”) requires you to watch out for your customer’s interest even when your customer isn’t paying attention. For instance, if you try to buy something from iTunes that you already bought, they’ll remind you that you already own it. Ditto Amazon. Extreme trust like this engages people’s natural impulse to show empathy, transcending the commercial domain of monetary incentives and tapping into the social domain of friendship, sharing, and reciprocity. And extreme trust should be even easier for a physical store to earn, because most people find it easier to trust other people they come face to face with. via The Only Lasting Competitive Advantage Is Extreme Trust | Fast Company. 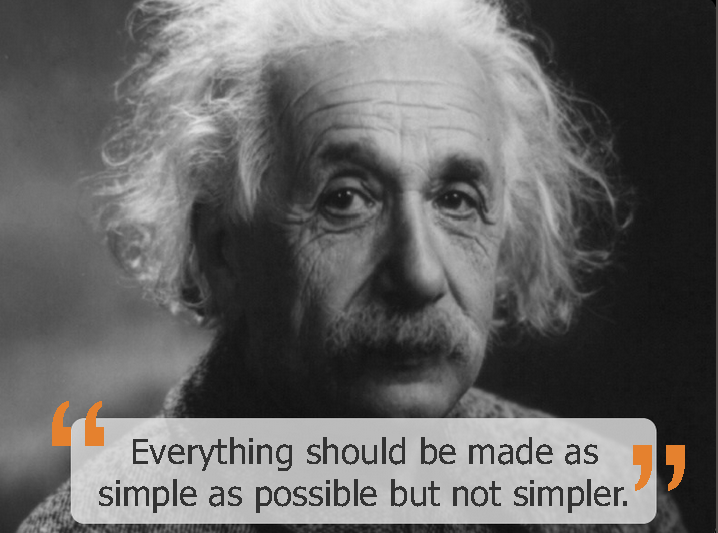 Even a smart guy like Einstein didn’t know how much he knew about insurance and customer service! There is a delicious irony that serves to emphasise the counter-intuitive nature of complex [business] systems – and explain why we are so bad at managing them! : a self-serving Corporate culture, whose relentless pursuit of growth and ambiguity, generates excessive complexity, that hurts efficiency and profitability. The simplicity of providing sustainable, transparent, value to customers’ should only be as complex as it needs, to be BOTH effective and profitable! …health insurance and general insurance industries also struggled, finishing last in this year’s survey, at 23th and 25th place, respectively. The insurance industry’s complex processes and lack of clarity regarding coverage continue to frustrate consumers. Respondents voiced displeasure with insurers’ failures to offer clearly written policy documents and answer questions promptly and unambiguously. UK brands have much to gain if they can effectively streamline their communications and experiences for their consumers. UK respondents said they would pay over £2.75bn a year for simpler communications and experiences represented in the Index, and 87.7 percent are more likely to recommend a brand because it makes their customer experience simpler. Some of the least simple industries have the most to gain: utilities (£419m), banks (£460m) and general insurers (£506m). Online Brands Help UK Consumers Simplify Their Lives | Siegel+Gale.